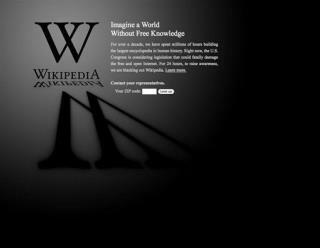 (Newser) – Wikipedia boasts 26 million registered users, though less than 0.5% (125,000) are active editors—and only 12,000 of them have made more than 50 edits in the past six months. Who's the guy at the head of that pack? Justin Anthony Knapp, who in 10 years has made nearly 1.5 million edits, reports Priceonomics. That's about 385 edits a day, though at his busiest he says he'd make as many as 1,000 in a day. And in the meantime, he also earned bachelor's degrees in philosophy and political science and now works 65 hours a week at a restaurant and volunteers. So why invest so much time in an already packed schedule? "I believe that when you have free time, you shouldn’t spend it idling," says Knapp, whose user name is koavf. The quality of an edit is far more important than the number of its any given Wikipedian makes. The wife will often catch me secretly wiki-ing , I usually just tell her it's itchy. Here's a working link to the Priceonomics article.